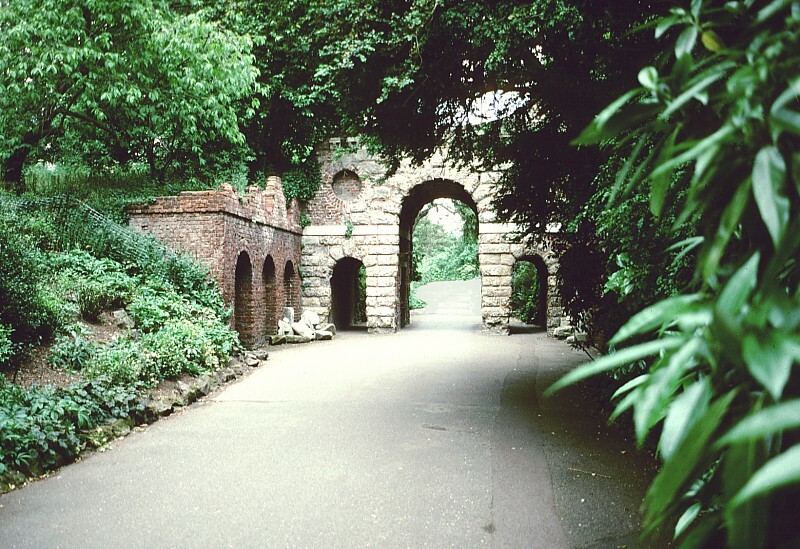 Images of Kew Gardens, London., England. 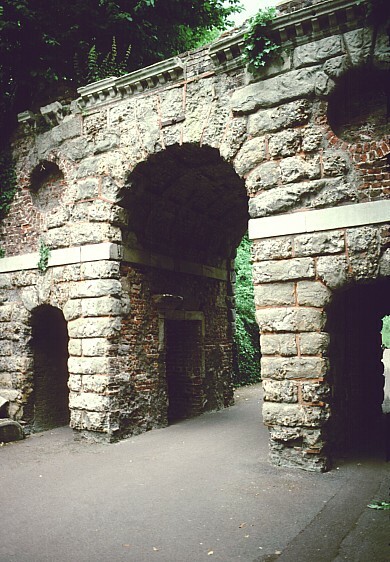 The ruined arch is a conceit, a mock ruin, designed at a time when such artificial structures were popular in fashionable gardens, that is if a real ruin couldn't be provided. 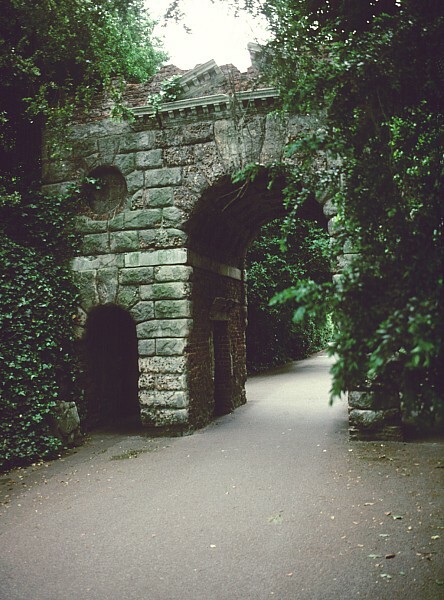 Eighteenth and nineteenth century English gardens had not only artificial ruins, but often had elaborate terraces, topiary, mazes, temples, fountains, and statuary. (For an American example in this tradition see the late nineteenth century Biltmore Estate.) This building is named after the Roman goddess of war and companion god Mars. 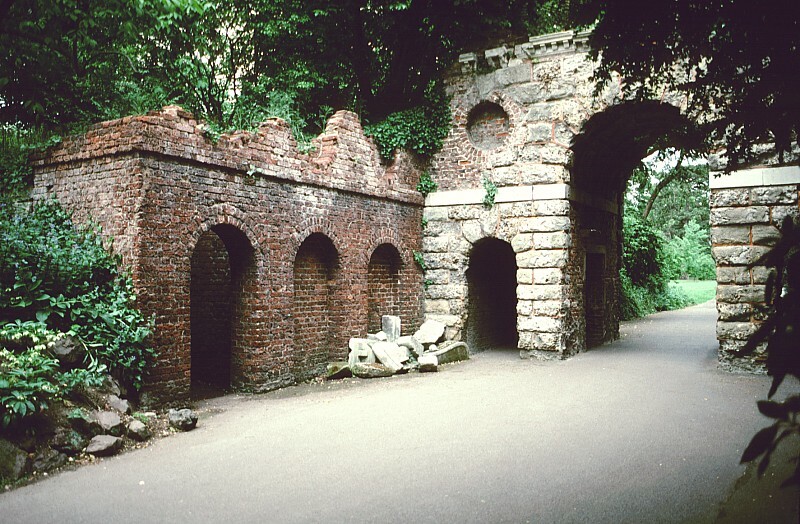 It was built in 1860 for a different site and later moved here. 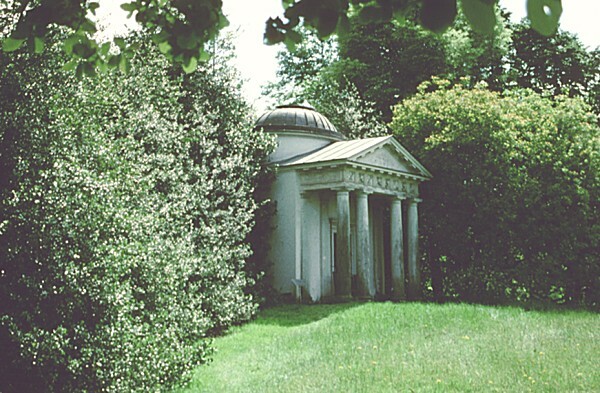 The small Doric temple with a four-column facade has plaques inside honoring those who served in the Seven Year's War (1756-64). Chambers knew the fads. 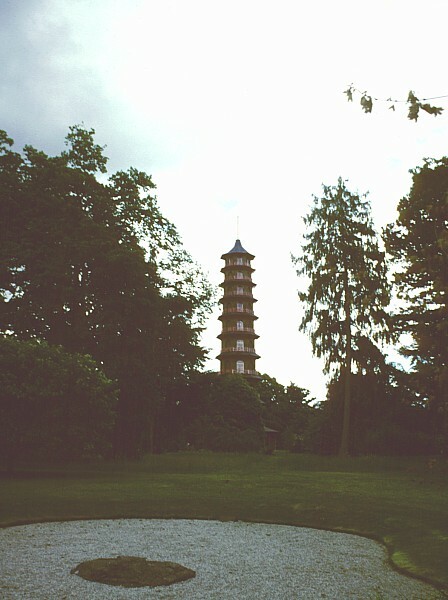 Just as artificial ruins were popular in landscaping, so too was the fashion for Chinese designs in gardens in the mid 18th century. 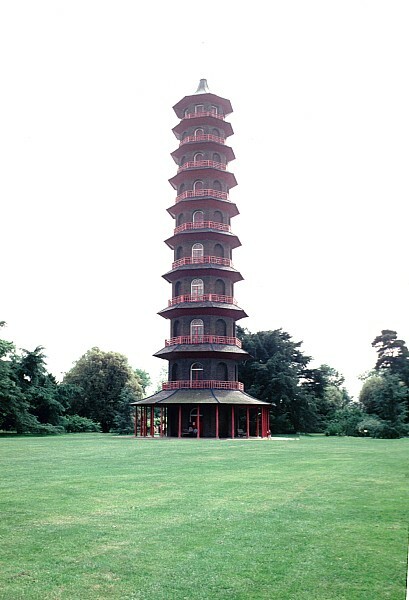 His pagoda is 10 stories tall (about 165 feet) and octagonally shaped. 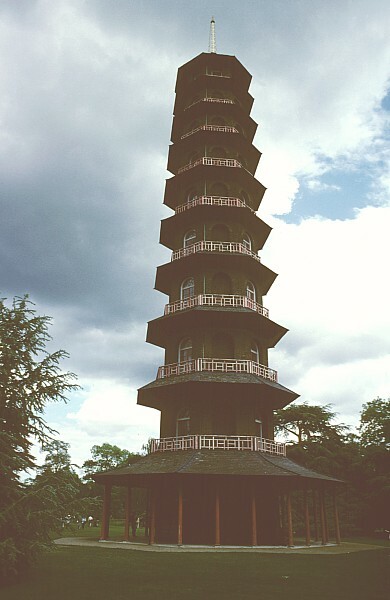 It tapers gently toward the top--with each floor being slightly less high and slightly narrower in diameter as it rises to the top. 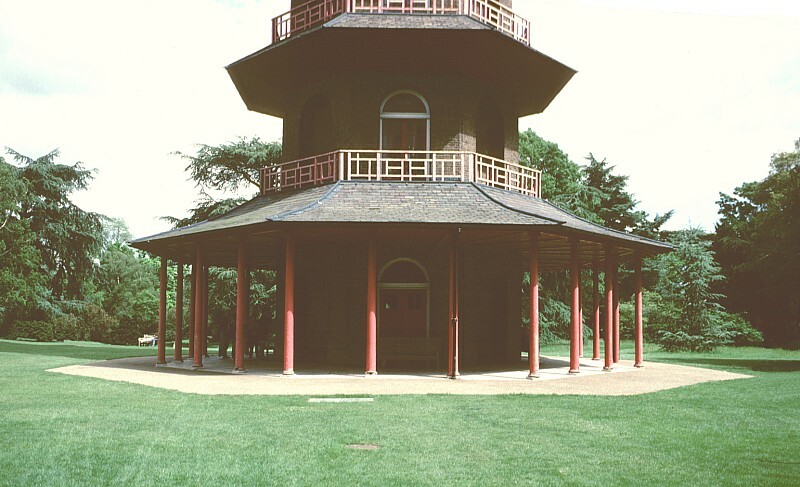 The pagoda is constructed of bricks that were strong enough to withstand nearby bombing during World War II. Although it has been restored several times, the original colors and the decorative dragons (80 i n all covered in glass) have not been replaced.